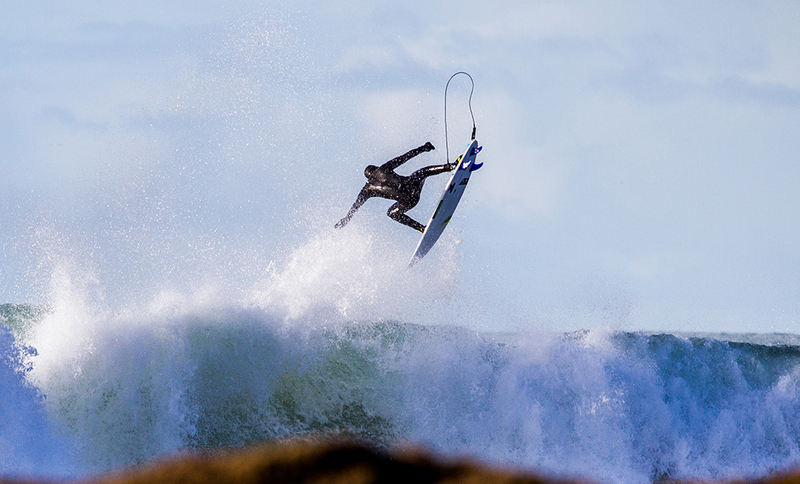 C-Skins wetsuits are like no other. Faced with surfing in the world’s coldest climates, and performing in those harsh conditions, C-Skins innovates. They give you design, materials and features you won’t find in other wetsuits. C-Skins Wetsuits warmth & performance. From the neoprene rubber, the external and internal skin, the neck closure, to the seam sealing and more, everything is unique. Optimised for maximum warmth, C-Skins claim their suits are the warmest in the world. If you want a warm suit, this is it. When it’s cold, keeping warm is a priority. If you aren’t warm you can’t surf. If you think you won’t be warm, you won’t even want to surf. With C-Skins you’ll start and finish your surf warm. How does C-Skins do this? It all starts with the rubber. Did you know most wetsuit companies measure their neoprene to include the outer skin that has little benefit? So for a 3mm suit, 1mm could be just the nylon, with only 2mm rubber. Only 2mm keeping your warm in the depth of winter? C-Skins measure only the rubber so when they say 3mm you get the true level of protection you’re expecting against the elements. Their neoprene is called AirFoam. It’s full of air bubbles. Not only is it light, one of the key features of performance, it has great insulating properties. The cold of the water can’t transfer through to your body. Similarly the warmth of your body can’t transfer out. Warmth is further maximised by C-Skins construction innovation. The external layers of your wetsuit have high tech built in. Xtend Neoprene is super flexi, super durable, and hydrophobic. It sheds water so you don’t get windchill or carry any waterlogged weight. Internally a DryKnit plush fleecy lining is super comfy next to your skin. It’s hydrophobic as well. Any internal water is immediately flushed away so your body heat is maximised. In between these two layers is a high tech laminate. Think of it like a flexi space blanket further reflecting cold away, reflecting body heat in. C-Skins materials and high tech construction working in combination to keep you super warm. On the outside you can also get a smoothie finish, what C-Skins call Mesh Skin. This is impervious to wind and water giving maximum protection. Normally only found on the back and chest, C-Skins Mesh Skin extends around your entire body so you get an encompassing protective barrier. Once you’re warm you want to perform! The AirFoam and Xtend Neoprene mentioned above give you performance with light weight and great flexibility. The suits are light and give you stretch for any move. C-Skins great fit makes both of these work for you even better. C-Skins use a bioMetric Future Fit process that gives you a super fit. Many of the panels are anatomically pre-formed so mould to your body. The cut of the suit while minimising stitching, that constricts, maximises body movement and fit. This means the suit is like a second skin, moving with you through all your surfing moves. C-Skins zipper suits have the entry zip designed and added as a separate panel. It’s not part of the same panel as your arms. So when paddling you aren’t constantly pulling against the zip. Catching waves is noticeably easier, you feel less fatigue, and you get the freedom-feel of a zipless suit. Around your neck most suits simply have a slash beneath your collar that you have to squeeze through for entry. When you’re paddling or getting dumped this lets in water. C-Skins has IrisNeck. This opens wide at your neck for easy entry then its multi-facets close up automatically, snug, greatly limiting water entry. The suit is finished with arm and knee embossing. So the AirFoam is reduced behind your knee to make getting to your feet way easier. High wear areas such as your front knees have additional durability with Dura Flex Knee Pads. The inner neck of your suit is finished with a GlideSkin collar. This is super smooth with no seam at all, so you get super comfort. It’s all about C-Skins Wetsuits warmth & performance. 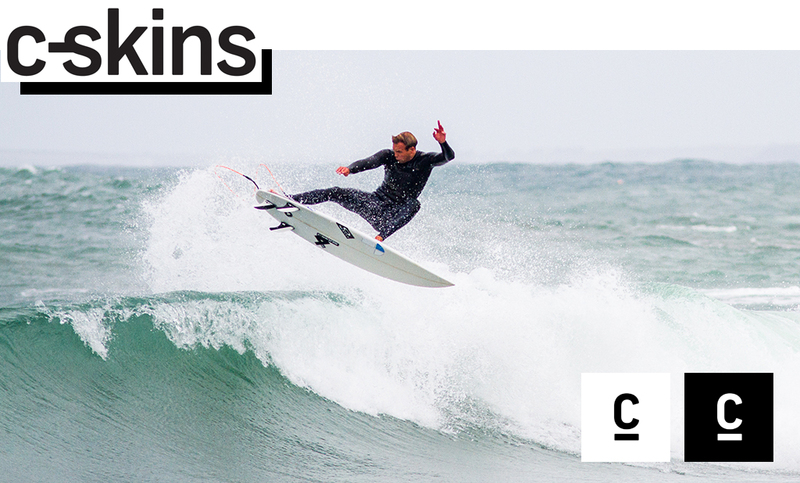 Get your C-Skins wetsuit, bring on winter and bring on the waves! To check all our great C-Skins gear and buy online click here.